From 2012 to 2014, the Minister of Energy was Ben Martins and his deputy was Barbara Thompson. Tina Joemat-Pettersson MP has been the Minister of Energy since 25 May 2014 . She was previously the Minister of Agriculture, Forestry, and Fisheries from 2009-2014. In the 2016/2017 budget the department had a budget of R7,545 million and a staff complement of 622 civil servants. ↑ "Statement by President Jacob Zuma on the appointment of the new Cabinet". 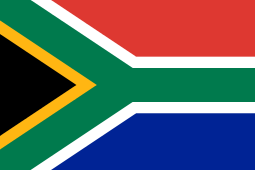 South African Government Information. 2009-05-10. Retrieved 2009-05-10. ↑ "Vote 26: Energy" (PDF). Estimates of National Expenditure 2016. Pretoria: National Treasury. 24 February 2016. ISBN 978-0-621-44244-1. Retrieved 6 January 2012.